Hey hey! I'm chugging through the first topic in our math series, and wanted to give my kinders something a little more fun today! I whipped up this quick and easy little board game and just added it to the freebie tab on the blog! Just print this bad boy on legal size paper, grab a number cube and some game markers, and have fun! 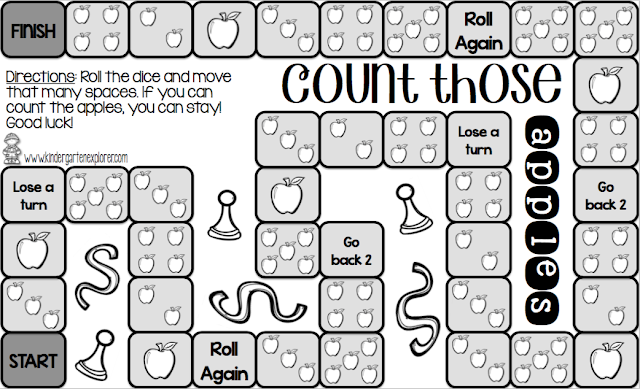 My littles played this for about 20 minutes today and stayed on task the whole time! They had so much fun doing something a little different.